The weather is usually a common small-talk subject, but the Finns also have another topic that can light up a conversation: the secrets of a good sauna stove. Juha Männistö, managing director of Mondex, a Finnish company making woodfired and electric stoves and stone radiators, shares his knowledge on just that. 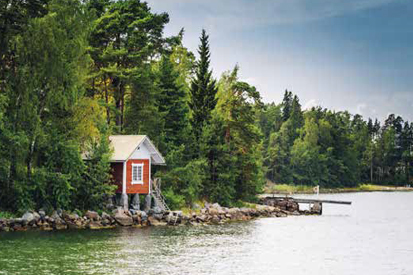 The world around us is changing, but the sauna experience stays the same. People go there to relax and to escape their busy lives and bad weather. The stove, arguably, is the most important element of a sauna. When choosing the right stove, one should take into account the size of the sauna and the wall-surface insulation properties. Then it is a question of taste, how hot, and what kind of heat one prefers. When asked about the difference between a wood-fired and electric stove, Männistö says that the heat is pretty similar, but saunas with wood-fired stoves seem to be more ‘airy’, because the wood burning process makes the air circulate. Despite common misconception, woodfired stoves are not slower to heat up, but quite the opposite. Also, different stones create different types of heat. Mostly, Mondex uses soap stones for their stoves, because they provide a softer heat and have proved very popular. 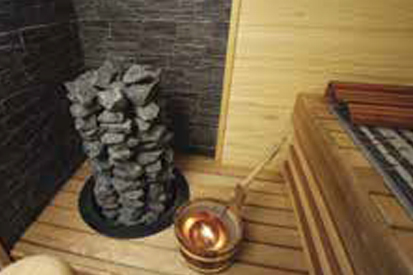 The other option is to choose sauna stones, which create a sharper, hotter heat. The stones should be changed every now and then, because they tend to become brittle over time or move inside the stove, blocking the heating elements. The Mondex collection contains 13 different free-standing or wall-fitted models. In one of the free-standing stoves, Rakka, the stones are sitting on top of each other, reminding us of ancient times, when people used to gather around a fire. The mechanism whereby an iron rod has been drilled through the stones to secure them in place, has been patented. 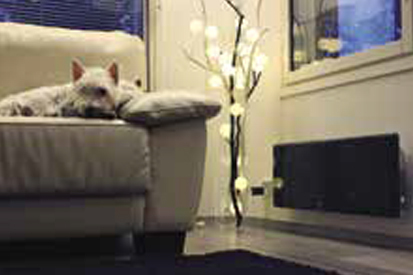 Männistö is proud of the fact that all the stoves are built by local people using Finnish materials, ensuring a very high standard of quality. In 2016, Mondex became part of Premec, a company specialising in sheet metal mechanics. Operating together, the stoves have a bright future ahead.